BIRDSONG SUMMER BLOSSOM -P was my first cow, so she has a very special place in my heart. 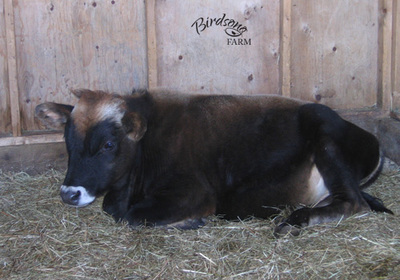 Blossom was born on a friend's family farm in the Queen Charlotte Islands (now Haida Gwaii) on August 28, 2002, and came to Birdsong Farm on June 11, 2003. 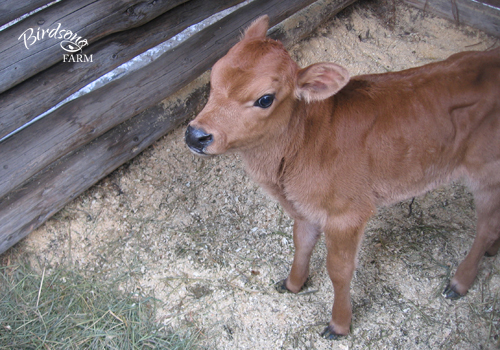 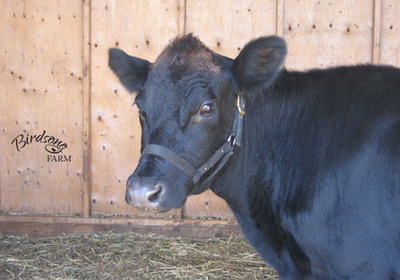 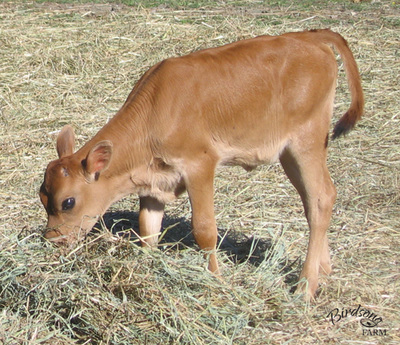 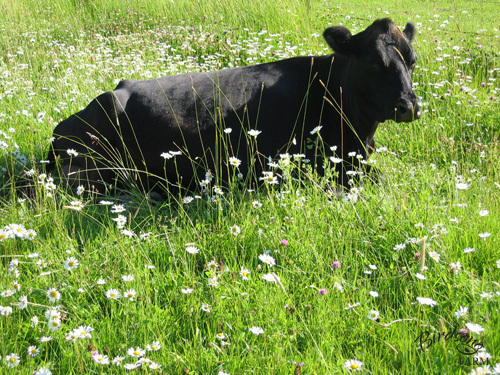 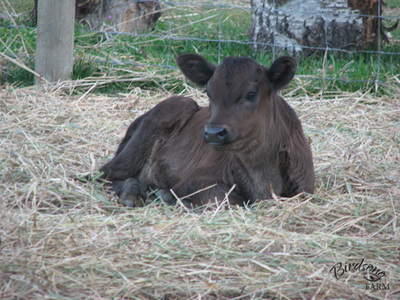 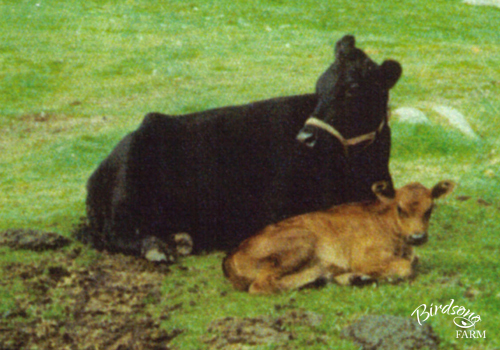 Blossom is a Jersey, Black Dexter, and Red Angus cross, and is recorded as 0% pure with Jersey Canada; please click on the Jersey Canada logo below to view her pedigree. 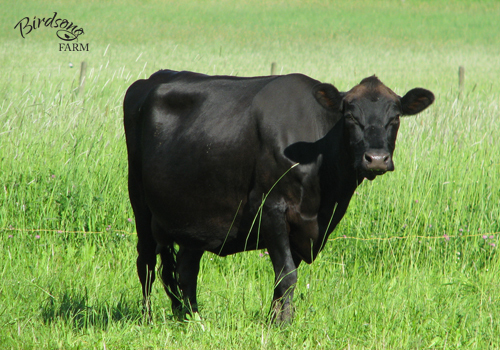 If bred with a registered Jersey bull, Blossom's female offspring can be registered as 50% pure with Jersey Canada. 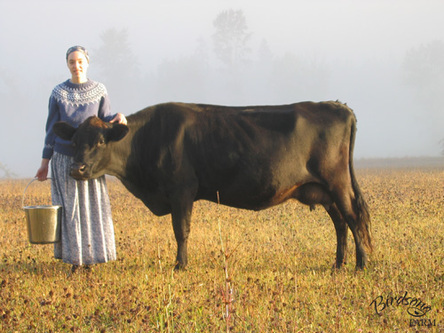 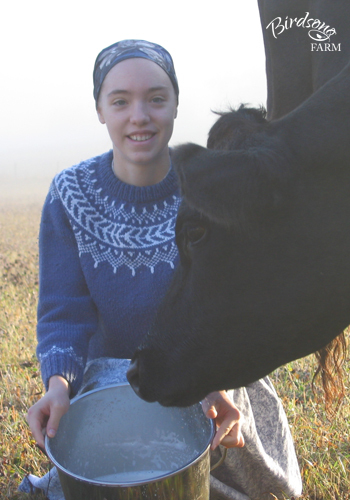 I always milked Blossom by hand, and she was giving me between eight and twelve quarts of rich, creamy milk every day while on Birdsong Farm, going as high as twenty quarts a day after she first calved or when she was on pasture. Her cream was so thick that it was like butter! 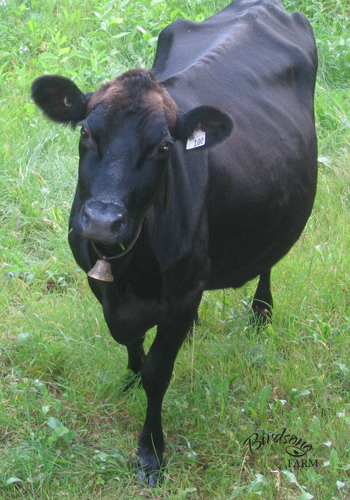 She is tested as type A2/A2 for Beta Casein, and while she is not tested for Kappa Casein I believe she is type A/B. Blossom was genotyped with the 50K SNP panel, and her GLPI and DGV are 378 (Apr*15; 26% reliability); please click here to view her genotyping report. 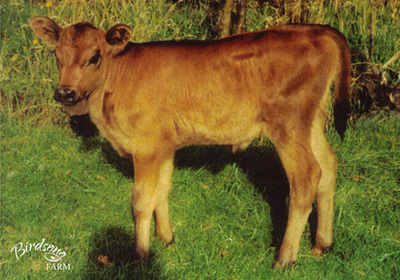 Her results for JH1 (Jersey Haplotype 1) are 99%, or tested positive; her results for JH2 (Jersey Haplotype 2) are 1%, or tested negative. 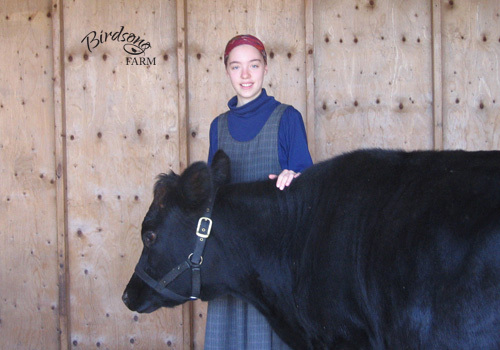 Due to limited space in my barn, I had to sell Blossom in 2012, and on July 23th she left for her new farm in Clinton, BC. Thank to you Wallace & Josephine Gosset for giving Blossom a good home!